The gaming phenomenon known as Candy Crush Saga is about to hit the New York Stock Exchange with full force. King Digital Entertainment submitted its IPO paperwork with the venerable Securities Exchange Commission, and this United Kingdom gaming company is primed to see continued growth in new directions. King Digital Entertainment has made millions in the last three years thanks to games such as Farm Heroes Saga, Pet Rescue Saga, and Papa Pear Saga. Adjusted earnings have grown from four million in 2011, 28 million in 2012, and an incredible 825 million in 2013. Candy Crush debuted on Facebook in 2012 and quickly became the top selling game. The straightforward directions about clearing rows of jellies, ingredients, and sweets may seem simple, but the 500 levels are keeping players engaged and busy for hours. Candy Crush app users have made this the most popular app associated with Facebook. 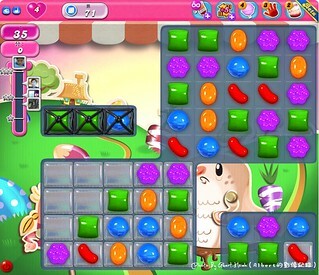 Candy Crush is primed to be ranked as one of the largest and most successful interactive online entertainment franchises of all time. Farm Heroes Saga and Pet Rescue Saga rank second and third with active Facebook users respectively. Small, frequent transactions define King Digital Entertainment success regarding Candy Crush. Individual gaming sessions are designed to be quick and free, but players can gain additional lives and move through levels more quickly if they elect to pay. People can play Candy Crush whenever it is convenient, and this interactive gaming phenomenon shows no signs losing popularity.